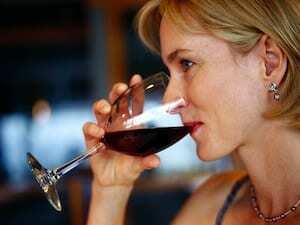 THURSDAY, Aug. 2, 2018 (HealthDay News) — Middle-aged people who drink moderately — no more than a glass of wine a day — may have a relatively lower risk of developing dementia later in life, researchers report. Moderate drinking was defined according to the recommended drinking limits in the United Kingdom: no more than 14 “units” of alcohol per week. That translates to one medium-sized glass of wine, or roughly a pint of beer, each day. Among people who had more than a drink per day, dementia risk rose by 17 percent with every additional 7 units of alcohol they downed per week. That’s equivalent to three to four glasses of wine. “No one is saying that if you don’t drink, you should start,” said Dr. Sevil Yasar, an associate professor of medicine at Johns Hopkins University, in Baltimore. U.S. guidelines differ from the U.K.’s — suggesting that men can safely have up to two drinks per day. Women are advised to limit themselves to one per day. Research suggests that many of the same factors that raise the risk of heart disease may also boost the risk of dementia — possibly due to poorer blood flow to the brain. The Alzheimer’s Association has advice on lifestyle and brain health.